Benevento: Manufactured from high-grade materials and polyurethane-coated for a high-gloss appearance and lasting protection. They use automotive-grade VHB tape with the ubiquitous red liner that enthusiasts know so well. .
DL Auto Trim: These custom dash kits are comparable in quality to Benevento kits with slightly less selection in terms of finishes and colors although factory match colors are sometimes offered. Automaxus: Computer-designed and laser-cut for a precision fit in your Jeep. Automaxus kits apply using same VHB tape and are available in dozens of colors and finishes. Rdash® Kits: Made from premium vinyl films, these Jeep custom dash kits are the most affordable on the market. When you choose an Rdash® kit you get the largest kit on the market with the most color and finish options for the lowest price anywhere. Don't settle for factory styling when you can truly personalize your Jeep's cabin with custom-designed dash kits by leading manufacturers. Pick up the right dash kit for you today and show some pride in your all-American Jeep. Jeep was the first sports utility vehicle and was designed and manufactured by Willys MB Jeep for the military in 1941 to be a rough and tumble automobile that could weather the worst abuse, overcome any obstacle and get its passenger to their destination safely (if not a little muddier than they started). The fact that it was intended to be a light infantry support vehicle meant that it was a no-frills, Spartan, 4-wheel drive off-roader which instantaneously created its design philosophy and unique repertoire of stylistic and functional elements. In 1987 Chrysler Corporation acquired Jeep in order to take advantage of the burgeoning SUV market and it is one of the best-selling SUV brands in the US today. By 2007 Jeep and all Chrysler-owned brands were in a world of trouble. Build quality had declined and the automaker was pretty much a laughingstock. But, every ending is also a new beginning so when Klaus Busse took over as chief of design Jeep's rough and ready design language got a much needed overhaul. It probably shouldn't come as a surprise that a vehicle that was expressly made to fight a war would need to be reborn in an inferno in order to rise from the ashes of the Chrysler Corporation after it declared bankruptcy in 2009. And, according to Busse, Chrysler's head of interior design during the time, the filing was just what was needed to radically change the perspective and direction of Jeep's interior design language. So, how did Klaus and company succeed where other Jeep designers had failed consistently for over two decades? According to the chief designer at the time, “We had to make the point that we can do sculptures, not just boxes. At the time, we were making gray boxes.” Clearly, Jeep had fallen prey to the belief that what worked then, should work now but with the failure of the company, it became clear that a complete redesign was in order. The overhaul of the entire design language for all Chrysler vehicles began with the 2009 200C concept developed that sported a cockpit which seemed to wrap around its occupants rather than a cabin which looked to have been chiseled from blocks of granite. Another key element of updating the interior trim of Jeep's was Busse's inclusion of “Easter eggs” throughout the cabin. 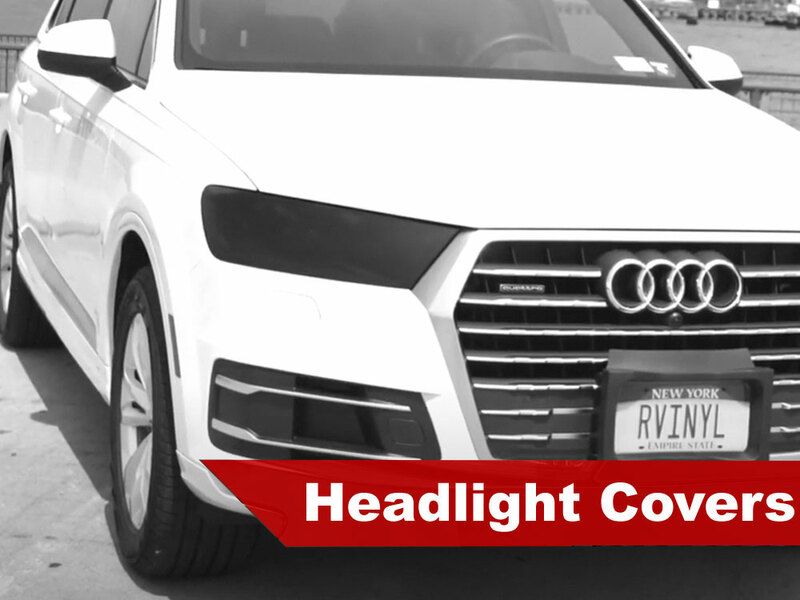 In effect, these Easter eggs are touches of additional details that are sprinkled throughout the vehicle's inside in order to show the attention to detail as well as to lend more interest and appeal to the design for passengers and drivers alike. Some of the most original "eggs" are etchings of Detroit's, iconic figures and retro vehicle logos that pop-up on info and navigational screens, all of which appear in the most unexpected places. Since you're taken the time to add a premium quality dash kit to your ride why not go all the way and completely restyle it? 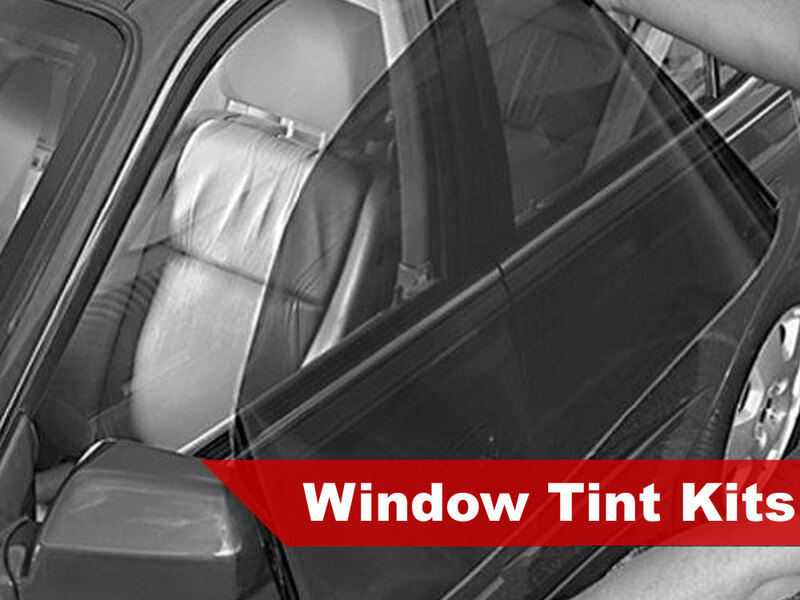 Precut Jeep window tint kits are an excellent way to add style while protecting your interior and passengers from harmful UV rays. 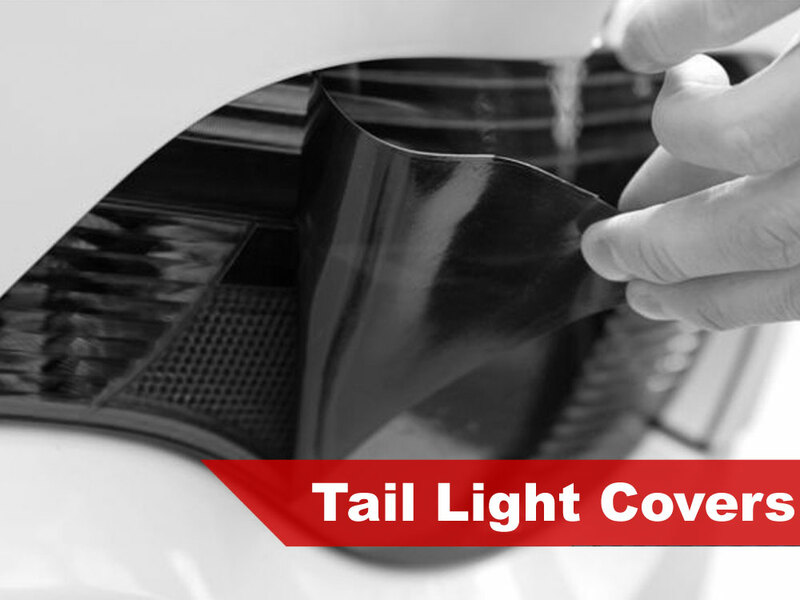 Smoked headlight tint covers not only add style but protect your expensive stock headlights from damage and the same is true with our tail light tints. And, most importantly, defend your paint job from scratches and scrapes with a precut Rshield® paint protection kit made for DIY installation. Of course, when you bundle all of these items together not only will your Jeep look amazing but you'll get fast, free shipping too so what are you waiting for? 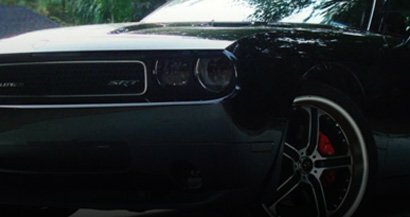 Buy now and upgrade your ride! Excellent Product, Fast Delivery, HIGHLY RECOMMEND !! Customer service was very helpful about answering all my questions before I bought it. Love the kit and how it dresses up my Interior. Purchased for a 2015 Wrangler and it fit really nicely. Some parts they could have tweaked a bit better, but overall very complete. Thanks Guys!!!! Great product to change up the interior. Way more pieces than I would choose to use-but some people just can't bedazzle enough. That said-my only gripe is the sheet they come on. Unrolled that bad boy like a 17th century treasure map and vinyl was dog earring every which way. Then selecting pieces had to unroll each time. Maybe quarter the sheets and stack like papers? (Except for the long pieces, naturally) some pieces were not perfectly cut, and some can, and should be flipped for better(more) coverage. Take your time, looks great. Appearance rating is based on packaging not the installed product. A very good experience!! I went online to Rvinyl and looked up the kit that I wanted and then placed Jeep Wrangler 1997-2002 model dash kit order. Fast shipping! Got it within a week. I got Lxi Honda Civic 2003 model & want to buy parts like shifter cover, driver & passengers doors cover. Will you advice please!!! The precut holes don't line up with the holes. Not bad not amazing. Get your colors right. I bought this for my Jeep Wrangler islander edition. They come with blue tiki bob seats. So I picked a color to match it. But was giving a little bit of a darker color then what was ordered and shown on there website . I decided to put it in anyways. The process wasn’t bad. They give you everything. They don’t say what each sticker goes too but they do have it in there website. And they give you stickers for Manual/ automatic. 2DR/4DR so depending on what you have you’ll get pieces you won’t use. I’m upset that I didn’t get the color i ordered! I’d appreciate new ones sent to me if this company wants returning business. If not, I’ll have to buy new seat covers which is not ideal for me. Because I’m spending more money then I needed too. Overall it looks good. I didn’t want to over do it because it would have been way to much. If you want a new look to your interior I would say do it. But this company needs to get its colors right if they want good reviews. Thanks!